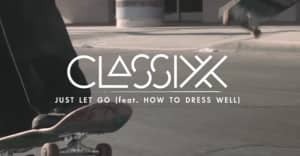 The video for Classixx's "Whatever I Want," a sort of astral disco track featuring a blissfully irreverent T-Pain, is a shot-for-shot remake of The Smith's "Stop Me If You Think You've Heard This One Before," restaged nearly 30 years later in East L.A. and captured on a GoPro camera by director Daniel Pappas. The video was inspired by the song's attitude towards doing 'whatever I want,' T-Pain's well chronicled struggle with depression, the shared sadness of Smiths fans, and how, through all of the depression and sadness, when you look like Morrissey in whatever way you can, everything is going to be okay. Hit play above, and sing along: I can do anything I want, I don't give a damn!